Even with dropping prices 40 percent from list the company didn’t experience volume gains. Recognizing this, the executive team selected Zilliant Price IQ, an AI-based pricing optimization software, to provide the predictive price guidance needed to recover market share while preserving profit. 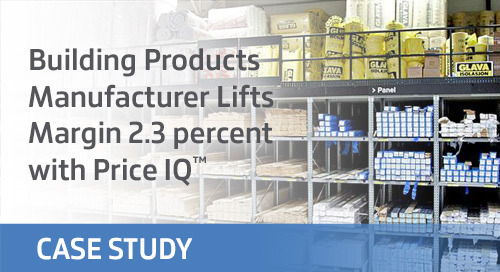 With the data analytics from Price IQ, they were able to change their pricing approach and instead increase margins by 1.5 Percent. 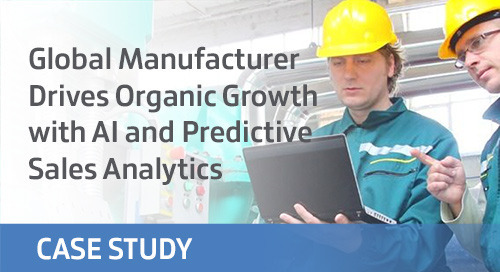 Read our case study on how a components distributor increased customer retention and expanded relationships with a prescriptive analytics solution. Read the case study of Schneider Electric, an industry leader in energy management, to learn how they use an AI-Enriched price optimization solution to meet business goals for revenue and profit.